We want to hear from you! 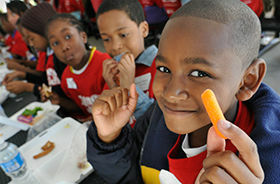 Share pictures of your students participating in tasting days, program activities or challenges! Your picture might be featured on our website.